When it comes to your skin, what you put in your body matters as much as what you put on it. That’s why BeBe & Bella has launched BeBella®, a new line of advanced probiotic oral and topical anti-aging skincare products. Traditional skincare is just not enough! 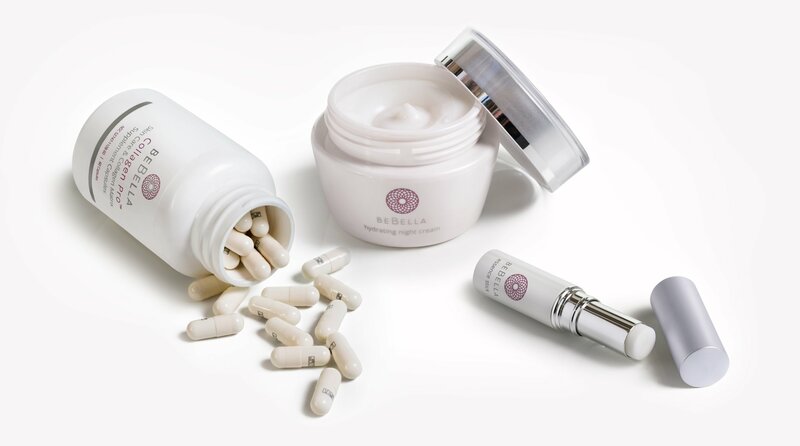 BeBella®’s skincare secret is in its two patented anti-aging ingredients: Probiotic + Yeast Propagate Technology. Our skin-friendly yeast complex encourages faster cell turnover, enhances the skin’s protective moisture barrier, and fights off free radicals. Lactobacillus casei is a probiotic amino acid polypeptide that hydrates and exfoliates the skin as well as evens out skin tone and complexion. Through extensive research and testing, our scientific team has developed a proprietary formula that combines these powerful ingredients for maximum anti-aging effects. Probiotics, well-known for their benefits in balancing the digestive system, when applied topically also encourage faster cell turnover, enhance the skin’s protective moisture barrier, and reverse photo-damage to the skin. The BeBella® line is water-based and contains neither sulfates nor added fragrances or coloring. Using the ‘Japanese method of layering,’ each topical product is applied one over the other in order to maximize the active ingredients. The oral supplements amplify overall health benefits to the skin when used in tandem with the topical products. To achieve maximum results, after cleansing, we encourage our customers to use the complete line of BeBella® products, in a specific layering order. The Japanese method of layering dictates a sequence of products applied to the skin in order of recommended use. The recommended use of BeBella® products is as follows: Facial Cleanser, then Toner, Facial Essence, followed by the Eye Cream and then finishing with the Hydrating Night Cream. 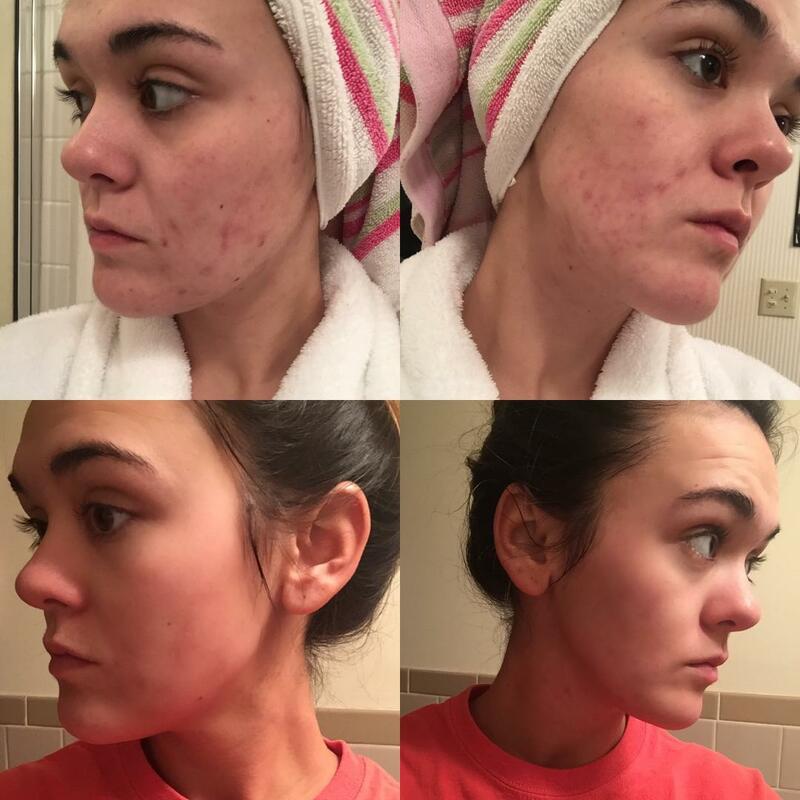 Davis’s results after three weeks of use of the BeBella® Facial Wash and Facial Essence. 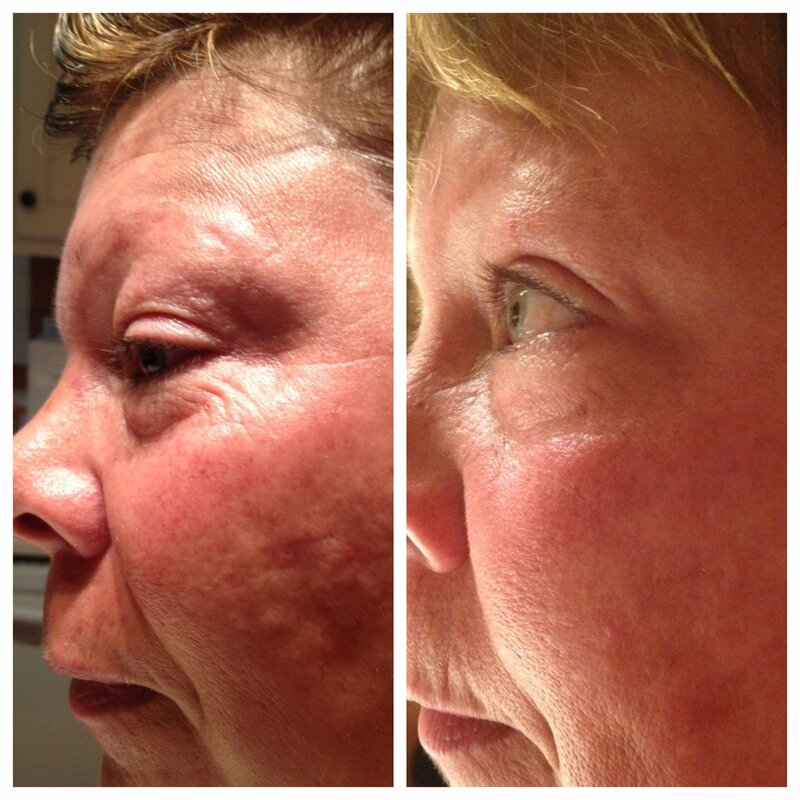 Pettit’s results after four weeks of use of the full line of BeBella® topical products.